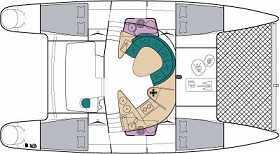 Pricing below is a weekly bottom price of good middle range yachts out of our price list. Price depends on the yacht brand, age, equipment, cruise duration, the area, the season, local taxes, and inclusive options. 5 /8 maxi Low season price from : 990 EURO/boat/week Low season price from : 2440 EURO/boat/week Low season price from : 3280 EURO/boat/week . * Price per boat per week from yachts of one fleet of our price list and subject to availability. Inclusive: linen, towels, inventory from list, full water tanks, full diesel tanks(Greece and Turkey), ports on fist and last days. Extras: Cleaning 50/90 EURO , outboard engine: 80 EURO, spinnaker: 155 EURO, one-ways . ** Price per boat per week all inclusive with skipper: Inclusive : Skipper, insurance of deposit, diesel(Greece and Turkey), gas, water, outboard motor, complete inventory, end cleaning, local taxes, ports(Greece and Turkey), linen and towels. Non inclusive : Only meals for all on board. *** Price per boat per week all inclusive with skipper and hostess/cook: Inclusive : Skipper, hostess, insurance of deposit, diesel(Greece and Turkey), gas for the tender, water, outboard motor, complete inventory, end cleaning, local taxes, ports(Greece and Turkey), linen and towels. Non inclusive : Only meals for all on board: half board 15 EURO/person/day drinks extra, eventually dinner on board 15 EURO/ person drinks extra.